ShipConstructor 2008 is the result of three years of development. It builds directly from the production experience of ShipConstructor 2006 and integrates the superior capabilities of AutoCAD 2007/2008. In addition to a thorough development cycle, ShipConstructor 2008 has undergone a rigorous QA process and has been reviewed by experienced ShipConstructor customers in BETA form. This BETA started in Mav 2007 and consisted of updates on a 2-4 week cycle until the software was judged ready for full production purposes. ShipConstructor 2008 is an "evolved" version of ShipConstructor 2006. It is very similar in overall functionalitv (and requires no new training for a ShipConstructor 2006 user) but it improves upon ShipConstructor 2006's stability and capability. Manv functions are more accessible in ShipConstructor 2008, and overall performance has been greatly improved. 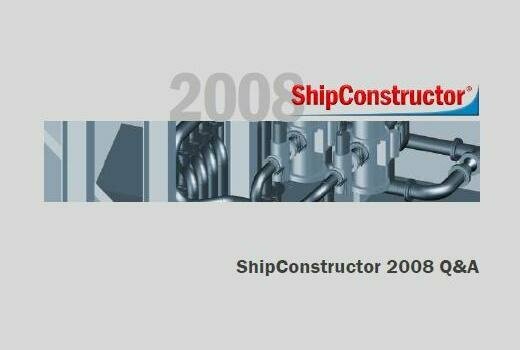 Also, as ShipConstructor 2008 rims in AutoCAD 2007/2008, the user can take advantage of many of the Autodesk-driven improvements in the new AutoCAD.